Each and every action by anyone who has access to Team Password Manager is logged. Only administrators have access to the main logging screen. This screen lists all actions logged, that can be filtered and sorted by the fields listed before. 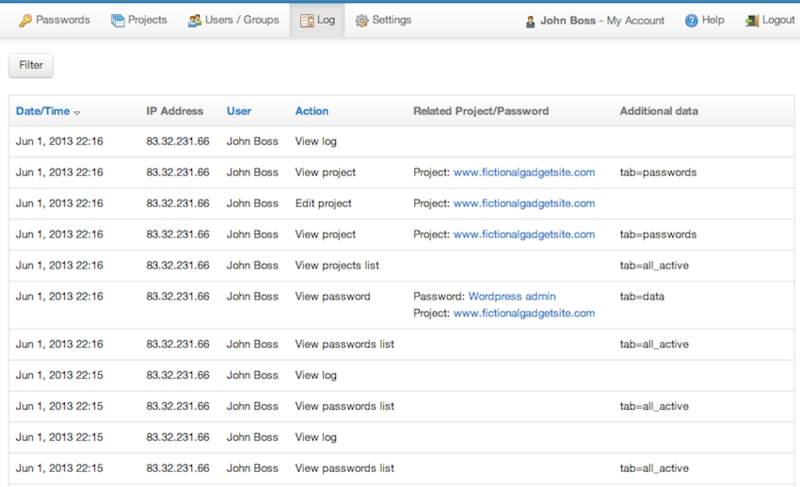 Passwords, projects and users screens all have a tag called "Log" that lists all actions logged for that element. Furthermore, each individual user can see his/her recent actions by viewing “My Account” for a clean record of all past activity. 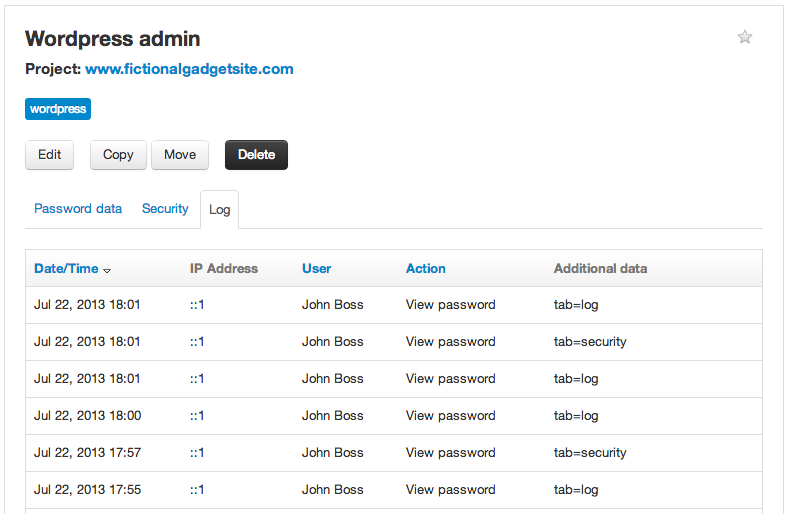 In addition to having all the actions logged in the database, Team Password Manager can be configured to send the log to the system logger (syslog) or to a specific file in real time.